North East India is probably the most misunderstood part of this country. This is probably a blessing in disguise because you often end up finding everything for yourself. You end up at most beautiful places devoid of the DSLR strapped instagrammers posing and making a mess. Manipur, among all the 8 states of this region, has a special significance. The lack of tourism makes Manipur a place that should get your attention. The backpacking crowd planning to do a budget trip would travel here for many reasons. The photographers can go to Loktak Lake, the adventurers can go to Ukhrul and heritage lovers would love to explore Imphal, Moreh and Andro. Note – Imphal is the point of arrival in Manipur. The city is so sleepy that it shuts down by 8 PM. So if you arrive here late in the night, you’ll not find anything open and you will end up being stranded on the road. This happened with me and I had to spend 5 hours inside a hospital’s waiting room. Hotels open at 5:30 in the morning and it was the only thing that turned out to be good. How to reach Imphal – Imphal is connected via Road from Dimapur and via air from Kolkata and Guwahati. To travel anywhere in NE India (for backpackers), one must arrive in Guwahati, the capital of Assam. From where, you can catch a bus, a shared taxi or a train to travel further. Reaching Imphal by train – Regular trains run between Guwahati and Dimapur. Once you arrive in Dimapur, head to the market area and find the shared taxi stand. It is better to choose for a tempo traveller as the roads are simply the worst. Note – Try reaching Dimapur early morning. This is the best time to start for Imphal as you’ll be there by 4 PM. A nice time of arrival in the city when everything is up and running, you’ll find plenty of tempo travellers during this time that will leave without any delay. If you miss this slot (which will be really stupid), then start your journey in the night so that you are in Imphal early morning. Reaching Imphal by Air ­– It was a stupidity to choose the road transport anyway. When I was in Loktak, I found out that the airfare between Guwahati/Kolkata and Imphal is not more than INR 1500 . So unless you have an extreme budget restriction and INR 800 matter to you a lot, then in that case you should think about taking a shared transport otherwise, you’ll be in Imphal in less than 50 minute. Reaching Imphal by private car – Private taxi run between Dimapur and Imphal. This will give you a freedom of hassle free travel. The taxis charge between INR 5000 (Alto) and INR 8000 (any SUV/Innova). You can also hire a car for the whole vacation depending on your budget. This is a better idea for those travelling in groups of more than 4 as it will be faster medium of reaching Manipur’s capital. Breaking down Imphal Journey – This is the most effective and intelligent way to visit Manipur. The road to Imphal goes via Kohima, Nagaland’s capital. The city is known for its lovely markets, green terraced farms and World War 2 sites. It is fairly easy to reach Kohima from Dimapur by road. Shared sumo will take 5 hours to arrive in Kohima Town and you’ll easily find a place to stay. After spending two of three nights in Kohima, catch an early morning Sumo or Bus to Imphal and reach there in 5 hours. Note – To stay in Kohima, you’ll need an Inner Line Permit for Nagaland that can be made from Dimapur or Guwahati. Permit rules differ for Indian nationals and foreigners but it is fairly easy to obtain. Read more about ILP process here. Once you are in Imphal and have found a place to stay, you can explore the town on your own. How are you? – Noong_ngai_biribra adombo? Imphal is the capital of Manipur and is a lovely city. It is possible to explore the town in two days and enjoy all the places in detail. Day 1 – Most of the places of tourist interest are in a close proximity of the area where hotels are located. Take a short walk to reach Kangla Fort. The fort complex is huge with many gates out of which only one is open for the tourists. Ticket for Kangla Fort is INR 10 and you can hire a bicycle at the same window to explore the complex. Some of the important parts of Kangla Fort are the museum, polo ground, residence of the ancient king, residence of the British officers, Nungjeng Pukhri, a Royal pool is in the north of the place, holy ponds like “Chingkhei Nungjeng”, “Manung Nungjeng” and “Lai Pukhri” etc. Kangla Fort was the seat of the emperors of Manipur between 33AD in 1881 AD. From here, cross the road towards the library and start walking straight. You’ll be at Asia’s biggest women’s only market Ima Keithel in 5 minutes. Ima Keithel is literally translated to Mother’s market. It is a cluster of a number of buildings which is only run by women. Neat and clean hygienic market areas sell everything from clothes to fish to vegetables and jewellery. The market areas have their own banks, ATMs, washrooms and canteens. Later, in the evening visit World War 2 Memorial Site. This place is a collection of graves of the soldiers died during the great battle of Manipur. Spend some time, click pictures and return to your hotel. Other places to explore include The Manipur State Museum, Matai Garden, Shree Govindajee Temple. Day 2 – Today, start in the morning to visit Andro. A heritage village near Imphal which is known for its pottery works, is a place where you’ll find authentic beauty of Manipur intact. Spend your day exploring this open museum where you’ll find paintings depicting life in Manipur, handcrafted tribal dolls showcasing the traditional attires of the 29 recognised tribes of Manipur, stone figurines and wood carvings of local legends. Return to Imphal after lunch as spending more time will leave you stranded in the market area with all shops and hotels shut down. Imphal has a number of stay options for every budget. I stayed at Hotel Thampa on day 1 and Youth Hostel during rest of my vacation. Hotel Thampa – Those who don’t want to share their bed with other people would find Hotel Thampa an okay place. A room for INR 350 is not a bad deal. The hotel shuts down at 8 PM so don’t try to venture out in the night. The room has basic amenities, bathroom is clean but remember to keep toiler paper and soap :P.
Hotel Thampa 2 – This hotel is divided in two parts. The budget one is okay but those who want to enjoy a little luxury can opt for its better counterpart. The rooms are spacious and offer hot water. The prices start from INR 800 so it doesn’t sound like a bad deal. Both hotels offer in room dining, you can order your food at the reception and the meal will reach your room. Youth Hostel – Youth Hostel is the perfect place for the budget backpackers in Imphal. Located at a short walk from the sumo dropping point towards the Khuman Lampak stadium, you will find a shared dorm for INR 200 and a private room for INR 350. The rooms are spacious and clean. The only problem here is that for meals you’ll have to order in advance and only thali is available which is pretty costly. There are other hotels around Fort Area but the price range is higher. I will write down about Loktak Lake travel in detail in another blog. This part will give you a basic idea about how to reach and stay here. Staying and exploring Loktak Lake is kind of costlier than Imphal. First, it is one of the prime tourist destinations of Manipur where you’ll find 10-15 visitors in a day (yes this crowded). Loktak Lake is immensely beautiful and worthy of staying for two nights at-least. If you want to make portraits of the locals and the fishermen then you can spend a few more days. Start from Imphal in the morning, catch a bus to Moirang. It will drop you at the market in one hour thirty minutes. From here, there are two options to reach Loktak Lake. Option 1 – Book a homestay in advance and they’ll come to pick you. I stayed at a homestay in the middle of Loktak Lake. They charged INR 1000 for a tent stay with two meals (breakfast and dinner) so it was not a bad deal. Staying at this home stay gave me advantage of enjoying the lake life up close. The host himself came to pick me up and I was saved from going all the way to village to find a homestay. Option 2 – This one requires more efforts and pain. From Moirang, you’ll find a shared taxi to Thanga. Thanga is a cluster of small villages located around the Lake. There are a number of homestays ranging from INR 600 to INR 5000 depending on your budget. I would still recommend the homestay where I stayed. How to explore Loktak Lake – The only way to explore Loktak Lake is on boat. My homestay had their own boats and they charged INR 100 for one trip. You should opt for a boat ride in the morning and one in the evening. You’ll get to see the lake from two perspectives giving you a sight of how life runs here. You can also hike or take a shared taxi to the view point from where you can see the floating phumdis with an aerial view. Moreh and Tamu are twin towns divided by Indian and Burmese Border. The friendship gate allows visitors from both sides to visit the respective towns for a day on the condition that you’ll have to be back by 4:30 PM. How to reach Moreh – To enter Tamu, you’ll have to travel to Moreh. From Loktak Lake – There are two routes going to Moreh from Loktak Lake/Moirang. The first route is apt when you have your own car. Because buses and shared transport don’t run on this route. You’ll have to return to Imphal, catch a shared taxi from Moreh taxi stand. There are buses but don’t bother finding them. These taxis will drop you in Moreh in 2.5 hours max. From Imphal – Imphal is the wisest choice to continue your journey to Moreh. If you don’t want to spend a day in Moreh and go straight to Tamu then it is better to start at 5 in the morning, reach Moreh by 7 and then enter Tamu. Take an auto and ask him to drop you at Moreh taxi stand. Find a shared vehicle and continue your journey. Note – There are shared tempo travellers and buses running between Moirang and Imphal. It is better to prefer the buses because they are more frequent and don’t wait to get full before leaving. Tempo Travellers will delay your journey. Remember, if you want to return to Imphal then try to start back by 2 PM so that you are in Imphal by 7 PM (there are more border checks while returning). The friendship border of India and Myanmar makes it easy for the travellers from Indian side to visit Myanmar for a day (between 8 AM to 4:00 PM). Walk towards the border side, cross over, deposit your Aadhar Card (YES!!) with the officials at Myanmar Border side and you are all set. Now remember, this market is not the actual Tamu Market. You’ll have to walk to the end of this area where a few auto-rikshaws are parked. These autos will charge INR 30 per person to take you to town of Tamu. Here you can explore the local market that is identical to the Ima Market in Imphal. Enjoy some pan fried noodles and tea leaf fried rice in the restaurant opposite to the auto rikshaw stand, Return the same way, remember to take back your Aadhar Card before entering India. Where to stay – Staying in Moreh doesn’t make much sense unless you arrive here after 12 PM (which happened with me). If you are travelling between Loktak Lake and Moreh by bus then obviously your travel time will increase because you’ll have to come all the way to Imphal which will kill 2 to 3 hours of your time. Moreh has a lot of stay options. Most of these hotels are extremely basic. They come with shared toilets and will cost you around INR 250 to 300 for a night. A couple of nice, luxury hotels were all full because it was the weekend (never visit Moreh on a weekend). Yumshann Lodge near the bus stand will charge INR 500 for a room with attached Indian style washroom. If you don’t want to go through all this pain, then it is better that you ask your hotel manager in Imphal to book a place for you. Elora hotel is one of the better hotels in Moreh and will suit your needs. Warning – Avoid booking hotels in Manipur through Booking.com or any other website. For some reason, the Manipur hotels show all sort of irregular pricing. Hotel Tampha’s tariff was 13000 per night when I searched online which was not at all true. The same happened with Elora hotel. Booking.com claimed that its tariff was more than 10000 when in reality it only charges INR 2500 for a night. You’ll find a returning taxi from Moreh Market. For some reason, they charge more than the time you travelled between Imphal and Moreh. Try to start back by 2 PM so that you are in Imphal on time before everything shuts down. Located 80 km from Imphal, Ukhrul is one of the popular hill stations where people visit for trekking and hiking. Ukhrul is also the host of Siroy Lily festival in the month of April. Find a local bus going to Ukhrul, you’ll reach your stop in 3 hours depending on the weather. It is a better idea to stay for2 nights and then start back to Imphal. The whole route is scenic and very photogenic. If you are in Moreh or Moirang then sadly you’ll have to come all the way to Imphal and then continue your journey further. This will waste your day. Take your bus as early as possible because the risk of getting stranded in the night is very high. Since Kohima is closer to Ukhrul, you can also keep it as the first point of visit before travelling to Imphal. Places to visit in Ukhrul – Ukhrul is one of the places where there is a lot of see and explore. The scenic Shirui Kashong Peak is known for its lovely views and unique vegetation found here. This is also the host to annual Siroy Lily festival. After this go for a village walk. The locals are very friendly and nice. For trekking lovers, Ukhrul has a lot of options. Khayang Peak at a height of 3114 meters is the highest peak of Manipur and an amazing destination to visit. Those who don’t want to walk can also reach via a vehicle. Nillai Tea Estate, Longpi village, Hundung Mova Cave, Khangkhui Cave and Kachouphung Lake are a few of the must visit places in Ukhrul. How to explore Ukhrul – Finding a shared taxi to many of these places is very difficult. Especially the caves are hard to reach without a guide. Try to break down your journey and walk around to reach your destination. Hiring a car for a day will save your time but will be on a costlier side. Ukhrul has a number of hotels and stay homes. I had found a small guest house with very basic amenities and attached washrooms. There are better hotels here that include 25 degrees north, Tiptop hotel and Shalom Lodge. Manipur has fairly nice data connectivity. I was able to get complete 4G signal in Manipur from Imphal till Moreh. I didn’t even find any international Roaming for Airtel in Tamu. I am not so sure about rest of the networks but Airtel worked just fine. Hope these tips help you. Manipur is nothing like what you have learned from media. All these destinations in Manipur are family friendly and fun to explore. 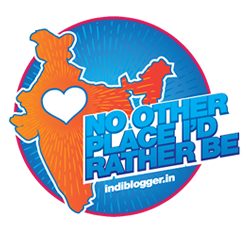 If you ever want to introduce yourself to North East Side of India then this is where you should start with. Great insights about Manipur. The descriptions are crisp and interesting. One of the best-detailed article I have read in recent times. I didn’t know a lot about Manipur before reading this. Such a helpful guide, and it will be a valuable resource when planning my India itinerary. Thank you! Awesome! All relevant information at one place. I will be referring to this post again. Planning to visit Manipur this year. Thanks for your comments. Looking forward to see what all did you explored. Awesome insight into Manipur, Your photos are great, they really made me want to visit Manipur for myself. Thanks a lot. And yes you must plan your visit sometime. It happens. But since it is a safe place, I was able to spend the night without any problem. Great photographs and a comprehensive post on Manipur travel. It really looks like a state that is progressive and yet very close to its roots. Would love to venture out there sometime. Yes, Manipur has a lot of surprises hidden everywhere. Your photos are great. Manipur is one of my favorite destinations of this part of India. I’ve been planning my itinerary to India for so long but don’t have the time to travel right now. I hadn’t previously put Manipur on my itinerary but this guide has showed me how beautiful the place is as well a a great resource in planning a trip! Hopefully I’ll be checking out this place for myself soon. Thanks for sharing. This was an interesting read – brought back memories of when I had visited Manipur. I ran my first 75 kms Cross-Border, Cross-Country, Ultra Marathon run from Tamu which is in Myanmar to Kakching which is in Manipur, India. It is such a beautiful state with ranges of bluish green hills! Thats so cool. I didn’t know that there is such a marathon. Must have been one hell of an experience. That’s kind of a complete guide to travel in Manipur. I would love to camp around the Loktak lake someday. I always learn the translations of hello, food and bye in the local language of the place I am visiting. Thanks for the guide. Thanks a lot. You’d love camping there. thanks for so much information on this little known part of India – I would definitely love to explore Manipur! It’s really nice to know you enjoyed byour stay with us at loktak Aquamarine Floating Homestay and Campsite . And at the same times really appreciated for recommending us to others travellers . See you soon again brother.